The beautiful princess has been kidnapped by evil monsters. The brave dwarves have built a sturdy wagon as a moving fortress equipped with machine guns, gunners, missiles, and other powerful weapons to rescue the princess. You, as the commander-in-charge, must unite the crew, destroy the evil monsters, and rescue the princess. Are you ready for the challenge? 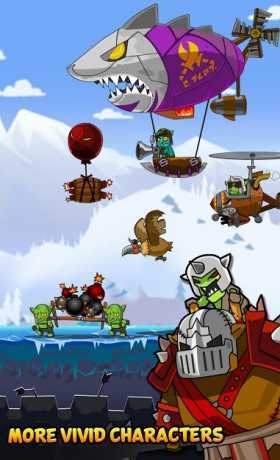 • Innovative game play – side-scrolling shooter combined with real-time tower defense strategy. It offers a mana-based spell-casting system, auto aiming with manual shooting. 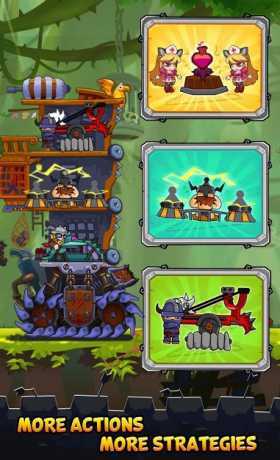 • Introduce the new auto-farming mode. 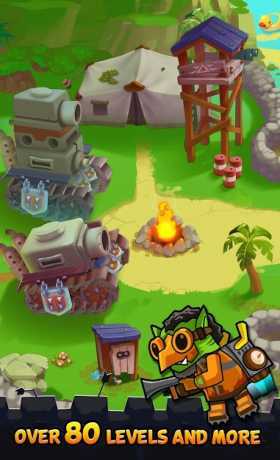 You can earn more props, coins and gems while you are not even playing the game. More towers you own, more rewards you can earn. • More enemies are added. • More towers are added.